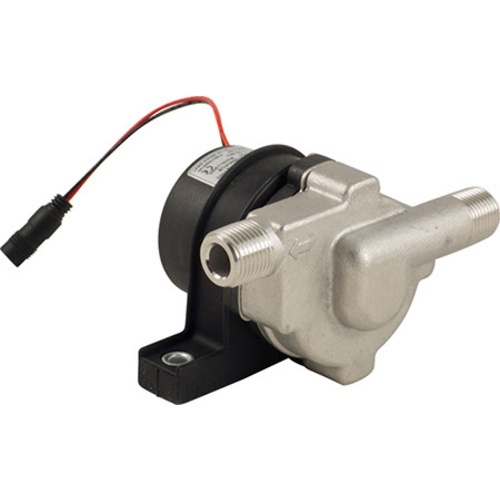 This 24v magnetic drive brewing pump is very compact, super quiet, safe to use around liquids, and integrates well with electric brewing systems. 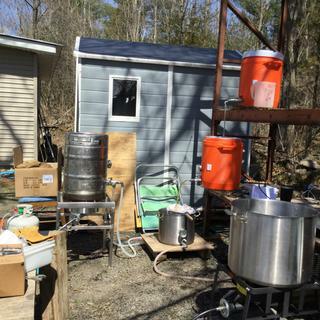 It has plenty of power, with a max flow rate of 6.4gpm - perfect for recirculating wort in an all grain brewing set up. 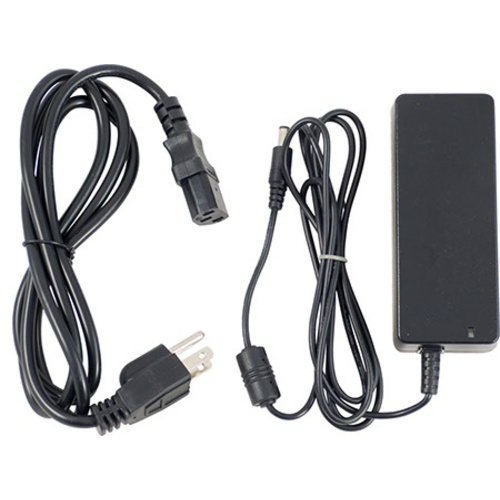 With the included power adapter, the pump runs on 24 v making it safer around liquids. The pump is light enough that, with the provided rubber mounting bracket, it can be mounted almost anywhere. The head is made from 304 stainless steel. Brew quieter and brew easier, with the Topsflo TD5 Micro Pump. This is the exact same pump sold by other retailers under brand names such as Steelhead™ and Wort Hog™. Topsflo is the actual manufacturer of this pump. Since we buy direct and do not add custom packaging we are able to sell the same pump for less. 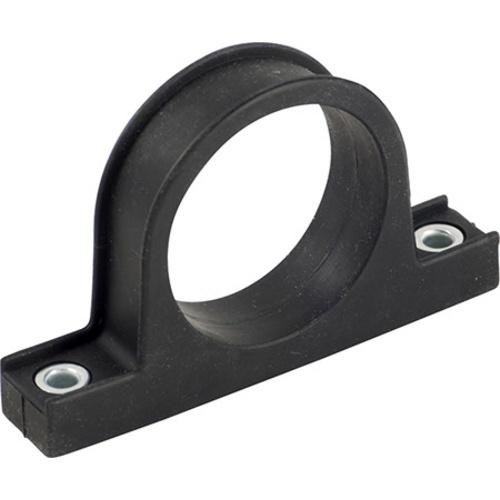 We also include a silicone mounting bracket at no additional cost. Free shipping and competitive price. 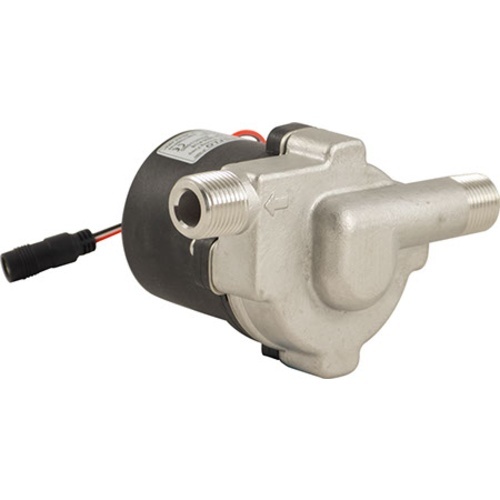 Brushless Motor pump. Better behaviour across all flow/head-height. I like the DC ecm motor at good price. Will this pump at a 1 liter per minute flow rate (reduced by output valve)? BEST ANSWER: The maximum flow rate is about 24 liters a minute but this can be throttled down with the addition of a ball valve. Overall it’s a nice pump,but like other reviews said mounting bracket is very weak.I used some banding strap to secure it better,i also had a problem with it pumping up to my HLT so I ran it in series with my chugger pump to make the height.I like the pump because it’s small and I could mount it in a tight space. This is my setup pump is mounted to the burner stand. Cheezy rubber mount supplied worked only after I used a metal conduit clamp over it to provide a solid clamp over the top. Otherwise would have been 5 stars. I bought two of these to replace my old AC Steelhead pumps from Northern Brewer. 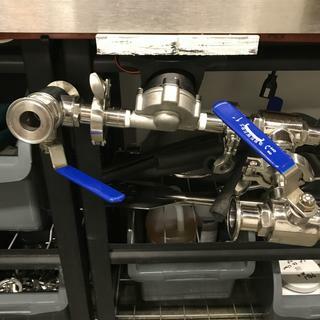 My setup uses three-way valves mounted on my pumps to reduce the number of hose swaps throughout my brew day. Unfortunately, the rubber ring which these new D.C. Pumps mount in is not rigid enough to keep the pump upright. The weight of the valves would cause the pump to sag to the point I was afraid it would damage the pump or the pump would fall out of the mounting ring altogether. If you have any amount of weight being attached to these pumps, I would recommend something with a welded mounting plate. I ultimately returned these and went with the Blichmann Riptide. Thanks to MoreBeer for taking care of me on the return! Quite, compact, and best of all works. My old Marche 508 HS wouldn't pump beyond 140 no matter how or where I placed it, cavitation problems. This pump worked from the getgo!! Very impressed and it's rated to 105 C.
I've seen this pump in action a few times on a Brutus 10 brewing system. I was so impressed I ordered my own. It arrived very nicely packaged and appears well built, with a stainless steel pump head. This pump is virtually silent when running, which is a real plus. In combination with stainless steel quick connects and beefy high temp. silicone tubing, it is a joy to use and adds to the brew day experience. As with any centrifugal pump it was a little difficult to get the dry pump primed and going. I installed a stainless ball valve on the pump outlet, which allowed me to easily control the flow rate. Like any metal components, the pump head and stainless connects get really hot, but they can take it, just beware. The tubing was able to be handled comfortably with bare hands though. Also beware of the pump wiring. Obviously water and electric don't mix, so watch what you are doing. Also some of the wires are dainty, so be careful not to yank on them or treat them roughly. Overall this was a nice upgrade to my brewing experience. I would recommend this pump.